When I was a kid, I wanted to go to a non-Jewish school. I was tired of being around like-minded individuals day after day, year after year. I wanted diversity. I wanted to be around people who were different than me. I was more observant than my peers at my Jewish day school and ironically, I had to explain myself and my family’s practices to those who were similar to me. I was so tired of explaining why I didn’t spend money on Saturdays or participate in weekend sports even though I drove and used electronics. I thought I was able to have the best of both worlds: spend the morning with my Jewish community, eat a good lunch, and then watch The Office or visit my grandparents who lived nearby. However, I was mortified when my dad picked me up from a “day off from school tomorrow” sleepover early to take me to synagogue for Shmini Atzeret, a minor Jewish holiday. I was hurt when I saw a picture of my friends at Disneyland together and when I asked my mom why I wasn’t invited to that girl’s party, she said that I was, but that the party was on Shabbat. I felt more separated from my like-minded peers. When it became time to apply for high school, the same day school as my siblings, I remember telling my mother over and over again that I would be more inclined to be Jewish and proud of it if I could do Shabbat dinner first, and then go to football games and dances on Friday nights at secular schools. That refrain continued when I started college. When I began Brandeis University, I knew I was stepping into what some would say was “another Jewish day school.” I prepared myself for that and was not surprised to see that the majority of the “active Jews” during my time there were Orthodox and didn’t practice like me. So, I stopped being observant. I began to spend money on Saturdays. I planned trips with friends during those random October Jewish holidays, like Shmini Atzeret, that Brandeis had off. I wanted to be the kind of Jew my other Jewish friends were. Granted, there were times throughout my Brandeis experience where I participated in Jewish events on campus, from Hillel Board, to running a religious service, but I still didn’t feel like I truly fit in. When my close-knit sorority sisters would tease me about my Jewish cultural references or how I “always talked about summer camp” I took it lightly, but deep down, I felt like something was wrong with me. Interestingly enough, I felt the proudest of who I was when I was around my non-Jewish friends. At Brandeis, I met so many people who were genuinely interested in my culture and religion. People would go to Shabbat dinners just to see what the fuss was about, not because their parents forced them to or because their grandparents said they could meet their future spouse. Looking back, I think that I would have been more religious and proud of who I am if I went to a school that wasn’t Brandeis. Flash forward to October 27, 2018. I was sitting in my graduate school class at Lesley University. I am studying to become an Elementary School teacher. For the first time in my life, there is only one other Jewish girl in two of my four classes. In the particular class I had Saturday, it was just me. I sat down and told the group what I had saw on my phone and the professor told me that I could leave the room if I was so inclined. I brushed it off thinking that I would not get upset. All of a sudden, I looked at my phone. 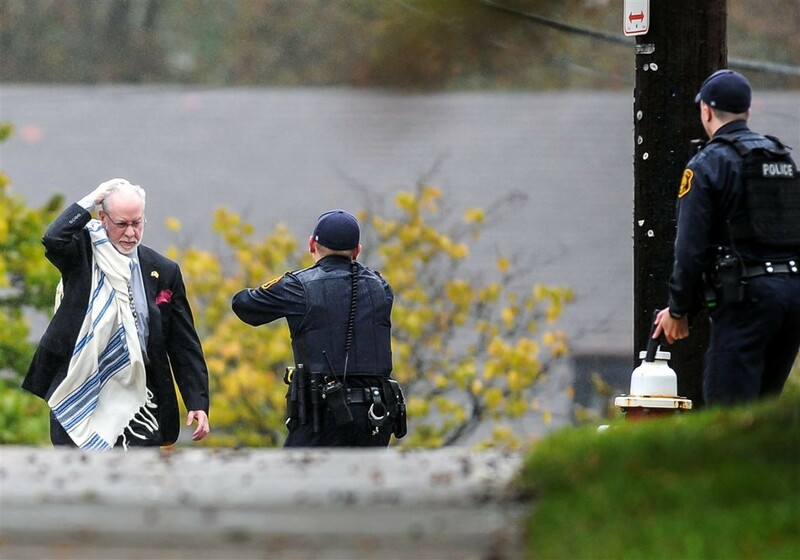 Shooting at a synagogue. I saw what people were posting on Facebook and Twitter. Sending my love on Shabbat morning. Looking back a mere 6 hours ago from when this happened to writing this, it all became a blur. Suspect found. 8 dead. I ran to the bathroom and cried. Bris happening that morning. I cried for my people. Rabbi was sick. Substitute Rabbi heard a boom. I cried for my friends. Suspect used an AR-15. I cried for myself. Thoughts and prayers for the Jews of Squirrel Hill. I cried because for the first time in my life I honestly thought I didn’t have anyone to talk to. I didn’t have anyone around me who understood the magnitude. My classmates and professor were kind, and one of my new non-Jewish friends texted me her thoughts which were incredibly thoughtful. At that moment, for the first time in my life, I felt like I needed my Jewish community. I needed my Brandeis community. I needed to be around the people who understood me but could also challenge me and question me if needed. I needed to be with people who could talk sense into me. Why do Jews need security in order to pray? Why does anyone need security in order to pray? Isn’t it ironic that people are sending their “thoughts and prayers” to the victims of these incidents, yet the sacred space for praying is now under threat? How do we reconcile this? Is there a solution? I’m not going to answer from a policy perspective. I am going to answer the question of what we can do from a social perspective. We can listen to each other. We can value each other for who we are. We can engage in dialogue with one another so we can communicate our feelings. Why is it that we only reach out to friends and relatives during tragedies? The last time I can remember texting this many people frantically was during the fateful days in November 2016. Jewish tradition teaches “All of Israel is responsible for one another.” So too are all humans responsible for each other. We as people of this Earth are responsible for checking in with each other, learning from each other, and valuing each other not just during times of crisis. 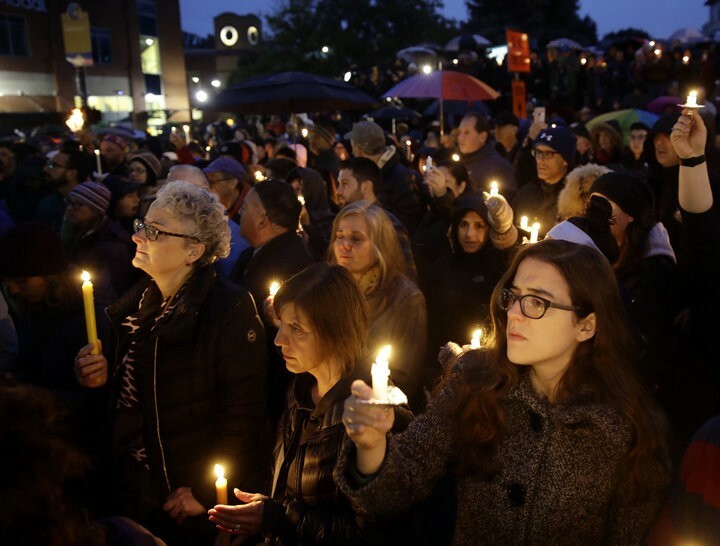 What I have learned most from the tragedy in Pittsburgh is that communication and unity should not be limited to tragedy. Jews, Muslims, Christians, Protestants, Mormons, Evangelicals, Atheists, Catholics, Sikhs, Buddhists, Hindus, every single person should show compassion to each other daily and support each other not solely in times of tragedy. We should all feel comfortable to reach out to each other with a call or a text or just a simple smile on the street in order to show that someone cares. Today and moving forward, I am forever proud to be Jewish. I am forever proud of my past, present, and my future. I hope that we as Jewish people, no matter our level of religious observance can also feel the same pride and come together in unity.